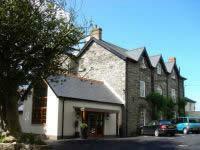 Choose from 33 hotels and guest houses in Dyfed. Shown below a just a selection of the hotels available. To search within an area please use the menu on the right. This sensitively restored Victorian hotel is set in 7 acres of beautiful landscaped gardens, with stunning views over Carmarthen Bay and beyond to North Devon. This charming country retreat is situated on the outskirts of the historic town of Laugharne, famous for its castle and more recently, for Welsh poet Dylan Thomas, who did much of his writing in the boathouse there. 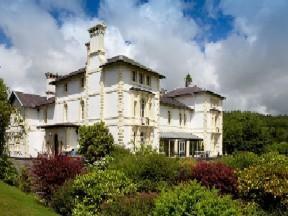 Broadway Country House is situated between Pembrokeshire and Carmarthenshire. All the wonders of West Wales are on the doorstep, including Pembrokeshire National Park, local theme parks, picturesque beaches, rugged countryside and Pendine Sands, famous as the home of many attempts on the world land-speed record. Originally built 300 years ago, the hotel was extended in 1914, with a new West wing and the Orangery added. Today, the hotel offers 6 recently refurbished en suite rooms, the majority with sea views. Wireless internet access is available throughout. 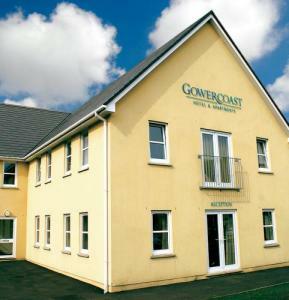 Southmead Guesthouse has a good location between Llanelli town centre and the new Millennium Coastal Park. It is within 10 minutes' walk of the local train station. The Southmead is convenient for Carmarthen and Swansea and is close to Llanelli College and the hospital. Llanelli has many pubs and great places to eat in, as well as fun activities like paintballing and horse riding. There are also some unique fishing spots. 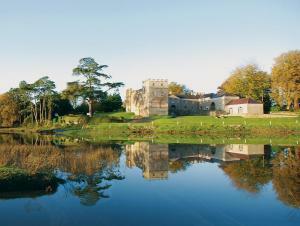 Lamphey Hall is a traditional, quiet country-house hotel with a lively bistro bar and friendly, professional staff. 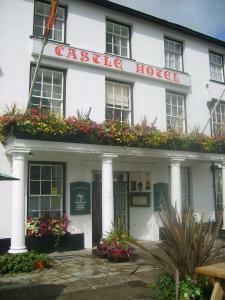 The family-run hotel is on the Tenby-to-Pembroke road. All rooms are individually designed and decorated, and being refurbished to a high standard. 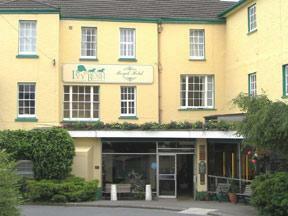 The bistro is set in mature gardens and has an excellent lunch and evening menu. 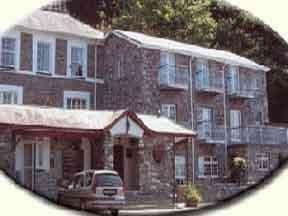 Lamphey Hall is convenient for the ferry, Texaco and refineries, and numerous tourist attractions. Set on the outskirts of Llanelli, the largest town in Carmarthenshire, this beautifully furnished Victorian house provides an ideal base from which to explore the beauty of South Wales. Owned and run by Stephen and Wendy Valerio, Llwyn Hall aims to provide a friendly, welcoming atmosphere where nothing is too much trouble. Feel free to relax away from the stresses of everyday life in the comfortable guestrooms, each of which is decorated in soothing colours, in-keeping with the history of the building. During your stay at Llwyn Hall you can enjoy your meals in the elegant dining room which displays many original features, including a period fireplace and French windows overlooking the garden. A conservatory area offers an idyllic spot for sunny evenings. Superbly located opposite the harbour and seafront, The Neptune offers comfortable accommodation, next to Burry Port Train Station and close to Millennium Coastal Park. All of the contemporary, stylish rooms are well furnished, with en suite facilities and a TV. Some rooms have stunning views of The Gower Coast. . 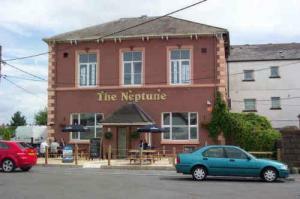 The Neptune boasts a cosy, welcoming bar and an attractive garden, with an outdoor seating area. Locally sourced food is available from the extensive menu and an inclusive breakfast is provided. Local attractions include Burry Port Marina, Pembrey Motor Racing Circuit, Pembrey Country Park, Ashburnham Golf Club, and Cefn Sidan Beach. The nearby coastal cycle track is an ideal way to explore the beautiful countryside and coastline of Carmarthenshire and Pembrokeshire. Free parking and free Wi-Fi internet access are available to guests. This recently refurbished hotel serves lunch and evening meals via its own restaurant, whilst a lounge, fully licensed bar, and sunny courtyard seating areas ensure a relaxed and invigorating stay. 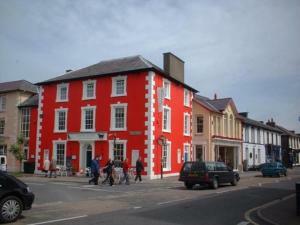 Set within the town centre of Aberystwyth, the Four Seasons Hotels offers en suite accommodation. All attractions, amenities, shopping and nightlife are just a short walk away, as are the harbour, promenade and beach. A warm welcome awaits at this family-run 3-star hotel, where the bay, harbour and town are within walking distance. Enjoy breathtaking views from the grounds and cliff-top terraces. The Park offers Wi-Fi, a lift and ample free parking. Most bedrooms have sea views, a classic decor and modern amenities. Enjoy a candlelit dinner in the warm and elegant dining room, where tasty traditional homemade food is served. 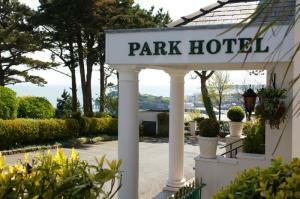 This small, family-run hotel has great sea views and a seafront location at the north end of the Promenade. 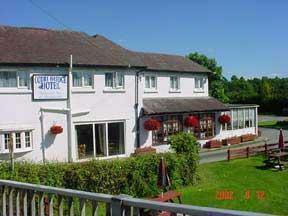 Queensbridge Hotel is known for its comfort and good, friendly service. There is a lift to all floors and a licensed bar and relaxing lounge. 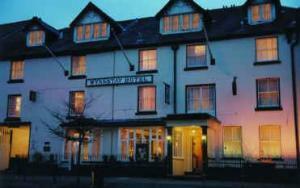 The hotel has an 'AA Triple Q Quality' award, an 'RAC Acclaimed' award, and 2 Stars with the WTB. Experience the luxury of the indoor health and leisure club and enjoy the good food. Trubshaws is a delightful intimate restaurant and enjoys an excellent reputation locally. It offers excellent cuisine with an international flavour prepared using fresh produce. You can choose from vegetarian, table d'hote or a la carte menus complimented by a well stocked wine cellar. Our Carvery Sunday lunch is extremely popular offering a selection meats and vegetables. Two or three courses are offered at a reasonable price, and afterwards you can take a coffee in the hotel lounge or make use of Chasens Health Club. Chasens Health & Leisure Club lies at the heart of the Hotel and is open to residents and a select club membership, providing a tropical haven in which to relax and unwind. Where better to enjoy a light meal or cocktail than at the pool side? The club is fully equipped with a range of professional exercise equipment including steppers, joggers, weight training, steam room, sauna, spa and heated swimming pool.